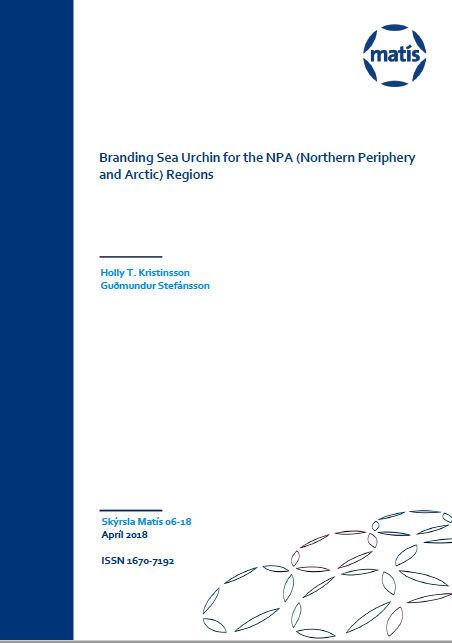 To supplement the NPA Report, Markets for Sea Urchins: A Review of Global Supply and Markets, this branding report sets out to explain the concept and elements of branding. Examples of successful branding of sea urchin and other high value seafood products are highlighted. Considerations and steps to building a brand are also discussed and can serve as a basis for brand strategy. Branding can be a way of promoting NPA sea urchin both locally and in international markets. It could be a solution to reducing the generic, anonymous sale and distribution of NPA sea urchins to Europe and other global markets. Establishing and maintaining a brand can create demand and differentiate a company and/ or its products from competitors. Currently, branding of sea urchin is untapped and thus, there is significant branding potential. A brand is the over-all customer experience. It is how consumers feel or perceive your company and what you should offer in terms of services or products. Understanding who the consumers are and who would buy sea urchin and why, will be key in building and launching a sea urchin brand. To establish a brand acknowledged and known by customers, there must be sufficient research and a clear understanding of the target audience. Without a brand, it is difficult to differentiate a product or company from a competitor. Today, distributors, food service companies, restaurants, and other customers do not have a significant way to attach added value to NPA sea urchin. A unified vision and branding platform are needed to add value to the sea urchin. A key starting point for the NPA partners will be to consider a corporate and/ or product branding strategy. Consumer research, a brand strategy, IP investigation, social and media marketing, and assessing return of investment (ROI) are fundamental to building a successful brand. With these building blocks and aspects in mind, the NPA can decide whether branding is a right fit and a sensible approach to creating increased value for the NPA regions, sea urchin fisheries, and small to medium enterprises (SMEs).